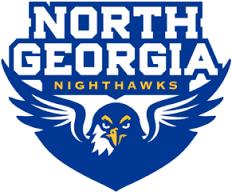 AUGUSTA, Ga. – The University of North Georgia’s Alishia Frierson has been named the Peach Belt Conference Softball Freshman of the Week, the league office announced on Monday. It is the first weekly award for the freshman slugger. Frierson hit .462 in four games for the Nighthawks last week with one home run and five runs batted in. The Madison native went 3-for-4 with two doubles and two driven in against Lincoln Memorial. In game two against Armstrong State, she was 2-for-3 with her first collegiate home run and two RBI in UNG’s 7-2 win. Frierson currently ranks third in the PBC with nine doubles on the year and eighth in the league in total hits. Frierson is the third Nighthawk freshman to bring home a weekly honor from the PBC as fellow newcomers Kylee Smith and Shelby Hammontree have earned PBC Pitcher and Freshman of the Week honors this year, respectively. North Georgia returns to action on Saturday, March 11, traveling to Montevallo. First pitch for the doubleheader is set for 1 p.m. EST.